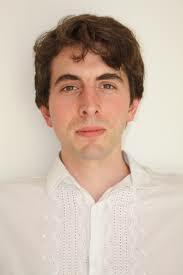 Born in London in 1984, Christian Mason was the recipient of the 2012 British Composer Award in the solo/duo category for Learning Self-Modulation, a work for violin and piano. This piece was co-commissioned by the Auditorium du Louvre, Paris; Wigmore Hall, London and the CDMC, Madrid, and was premiered by Carolin Widmann and Simon Lepper in October 2011. Christian enjoyed a busy 2013: his piece for symphony orchestra: Isolarion – Rituals of Resonance, was given its world premiere at the Lucerne Festival, where he had been in residence for the previous two years under the guidance of Pierre Boulez. In August, The Years of Light, a commission from the Tanglewood Festival of Contemporary Music (Artistic Director: Pierre-Laurent Aimard), was premiered at the Ozawa Hall, Tanglewood, to great acclaim (“music slowly oscillating and shimmering, like sounds from deep space” Berkshire Eagle), and Equinoxes of the Infinite, for two pianos and two percussion, was performed as part of the Venice Biennale. His latest work, entitled Unseen Seasons, was commissioned by the Shizuoka Concert Hall and premiered by the Tokyo Philharmonic Choir in February 2014. Further projects include a collaboration with Opera Erratica on ‘Investiture Ceremony’ for their new opera Triptych to be performed in Spring 2014 at the Spitalfields Festival and The Print Room in Notting Hill; a new piano piece for Joseph Houston to be premiered at the Forge in March 2014; and Somewhere Between Us for amplified vocal quartet, Paetzold bass recorder and tape to be premiered in December 2014 at LOD in Ghent by Vocaallab and Eva Reiter. Over the years, Christian’s music has been performed by Midori, Mieko Kanno, Jean-Guihen Queyras, Adam Walker, Emily Hindrichs, Okeanos Plus, London Sinfonietta, Britten Sinfonia, London Symphony Orchestra, Opera North Orchestra, and BBC Philharmonic under notable conductors including Elgar Howarth, Gergely Madaras and Francois-Xavier Roth. His music has been broadcast on BBC Radio 3, France Musique Lundis de la Contemporaine, and Swiss SRF 2 Kultur and RTS Espaces 2; and released on CD by London Sinfonietta (In Time Entwined, In Space Enlaced; Jerwood Series 6, September 2009) and LSO Live (From Bursting Suns Escaping, on ‘The Panufnik Legacies’, May 2013). Other collaborations, with choreographers and theatre directors, include works such as Songs for the Last Slam Door Train (2006) with Barbara Keal and the Transforme project at Royaumont (2008-09). Further to this, Christian has composed the music for the new productions by Peter Gill of David Hare’s The Breath of Life (at the Lyceum Theatre in Sheffield in February 2011) and Robert Holman’s Making Noise Quietly (at Donmar Warehouse, London, May 2012). December 2012 saw Christian complete a PhD at King’s College London with George Benjamin. He previously read music at the University of York and has studied composition with Sinan Savaskan, Nicola LeFanu, Thomas Simaku and Julian Anderson. Christian has participated in summer courses such as the Stockhausen Courses, Dartington, Royaumont Voix Nouvelles, Acanthes and Festival d’Aix en Provence. Christian was an invited composer at Takefu International Festival 2008, Japan, and was awarded the Mendelssohn Scholarship in 2012 to study with Frank Denyer. Christian currently works as composition assistant to Sir Harrison Birtwistle, and Composition Support Tutor for the LSO Panufnik Young Composers Project. Christian is also founding co-Artistic Director of the Octandre Ensemble, which has benefited from the ‘Diaphonique’ grant to organise an Anglo-French Composers’ Forum at St Luke’s in November 2012, and gives regular concerts to promote contemporary music. Christian Mason’s music has been described as “a very different world, gentle and subtly coloured… intriguingly ambiguous in a way that made me want to hear it again, immediately” (Ivan Hewitt, Telegraph), “energised, bracing, craggy and brilliant” (Colin Anderson, Classicalsource), and “inspired and skillful” (Ritmo, Madrid). Probably the opportunity, during sixth-form, to compose two pieces for the school orchestra. The performance of my first orchestral piece Ether (for orchestra and theremin) was certainly a threshold in my life as a composer. Before this I had spent a lot of time improvising on various instruments (violin, guitar, organ, theremin), and experimented with recording and playing around with sounds using Cubase, but until Ether I always thought that I wanted to be a violinist. Yes, quite a few. Some in terms of sound, others on the level of ideas and ways of thinking about music, or both. And while new influences emerge from time to time, I feel the old ones remain important. My first teacher, Sinan Savaskan, opened my mind and ears to many possibilities which are still resonating in my work today: appreciating the particular qualities of different intervals and the ways they interact, projecting line into form, balancing qualities ‘being’ and ‘becoming’, the cyclic with the goal directed, the spontaneous with the constructed, and many other things… But maybe most importantly – more important than technique and endless ideas about processes and how to form music – a sense that he understood what I was actually ‘trying to say’ before I had worked out how to say it myself (and i’m still working on that!) really motivated me. But increasingly it’s not so much composers as sounds themselves that are influencing me. It could be sounds made by composers, but it could be the timbre of a particular instrument, or another musical culture, or church bells, or natural sounds like rustling leaves and flowing water, or frog calls, insect chirps, whale song… What matters to me is the extent to which any sound awakens my imagination and my desire to play with that sound by re-composing it in my own way. Through this process I feel I discover who I am as a composer. The early part of my creative process on any given piece (the walking phase) is dominated by freely wandering imagination – which can also be quite erratic and unfocused. As the ideas and materials clarify, I start working things out on paper, sketching different elements of a piece… Often this stuff happens between the keyboard and the desk, sketching by hand/on paper before eventually notating final versions on the computer (using Sibelius). Isolarion – Rituals of Resonance (2012-13) is my most recent orchestral work. It was commissioned by Lucerne Festival Academy Orchestra and Pierre Boulez, and premiered at Lucerne Festival 2013, conducted by Gergely Madaras. The title Isolarion refers to a kind of map from the 15th Century which represents a small area in great detail, without showing how it relates to anywhere else. The piece is cast in three movements, and maybe each could be heard as a self-contained ‘Isolarion’, yet the relationships between the movements are also important and from another perspective they can be seen as different realizations of the same essential material: an 11-note row – variously treated as a cantus firmus, a foreground melody, or a source of harmonic constellations – and a drone tone (the 12th note) which is not always stated but still functions as constant musical presence shifting between the foreground and background.